According to a recent survey by Trip Advisor's 20 million+ members, Cape May's beaches have been voted to be the second best in the nation and one of the 10 best in the world. We've always known how incredibly beautiful and fun our beaches are; it's one of the main reasons families love to vacation here every year. It's nice that Cape May gets that recognition for the ongoing effort to keep the beaches clean, beautiful and visitor friendly. Posted on June 12, 2014 by Michael Longfellow and filed under Vacation Value, Longfellow Recommends and tagged cape may beaches awards Cape May Vacation. We are super excited to announce a new feature of the Longfellow Guest House website — our new online store. 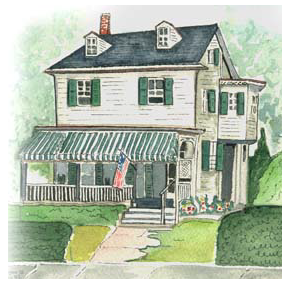 This exclusive online store will feature unique Cape May gift ideas for our guests, and also for anyone who's a Cape May fan, both local and visitor alike. We're launching our store initially with gifts that feature the photography of Michael Longfellow (that's me) in unique, special edition canvas and framed prints. 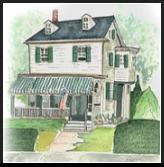 Posted on September 7, 2013 by Michael Longfellow and filed under Vacation Value, Longfellow Recommends and tagged Cape May Store Cape May Gifts. We grew up with dogs in our home and know how much joy and love they can add to a family dynamic. Many times our family travels included Makapu, Bimini or Maitai joining in on a family vacation or road trip. For one such trip, we travelled all the way down to Sanibel Island, FL in a Datsun B210 station wagon with our family of 5, a baby sitter and Bimini (the first dog on the planet that could chase down a frisbee and catch in mid-air).